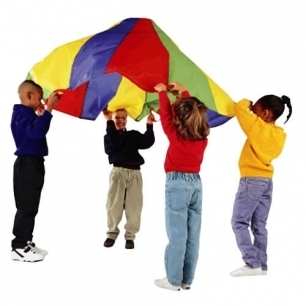 Cooperative play and movement exercises take on a new dimension with these parachutes! Made of rip-stop nylon fabric, and sewn to last through the toughest play times, parachutes promise a day full of fun! Includes nylon storage bag. Sold by Gryphon House, Inc. Ships from Kaplan Early Learning Company.